Liz Moulton, "The Naked Consultation: A Practical Guide to Primary Care Consultation Skills, Second Edition"
Designed specifically for busy health professionals working in primary care, The Naked Consultation: A Practical Guide to Primary Care Consultation Skills covers all aspects of the primary care consultation in a clear, concise, and highly readable manner. 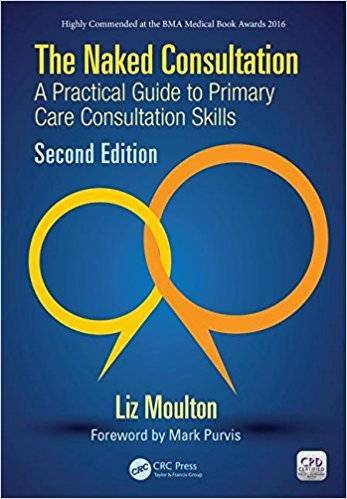 The book begins by breaking the primary care consultation into its components, making it easier to focus on particular areas and practise skills such as encouraging patients to explain what’s wrong, summarising and reflecting, and giving information to patients. The book then describes how to effectively use educational tools―such as videoing, random case analysis, problem case debriefing, and feedback―to improve consultations. It also explains in detail how to demonstrate proficient consultation skills in the Membership of the Royal College of General Practitioners (MRCGP) exam and the importance of these skills in appraisal/revalidation. 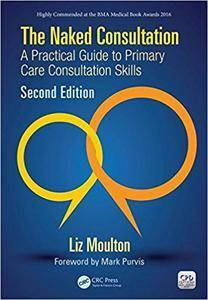 Certified for continuing professional development (CPD®) by The CPD Certification Service, this fully updated and revised Second Edition incorporates new thinking and consultation models, including the 6 S model and the new doctor, patient, illness model. It also provides detailed analysis of the latest Royal College of General Practitioners (RCGP) assessment tools, such as the clinical skills assessment exam (CSA) and the consultation observation tool (COT). Complete with illuminating case studies, photocopiable forms, and a jargon-busting appendix, The Naked Consultation: A Practical Guide to Primary Care Consultation Skills, Second Edition offers valuable insight into the key phases of the primary care consultation, the best features of common consultation models, and the real-world application of popular consultation techniques.